Acne Be Gone for Good: Natural Lifelong Solutions for Clearing Hormonal Acne – Paperback. Buy it today and get it signed by Dr. Sonia Badreshia-Bansal, MD! Americans waste billions of dollars every year on products and services that promise flawless, acne-free skin, but fail to deliver. 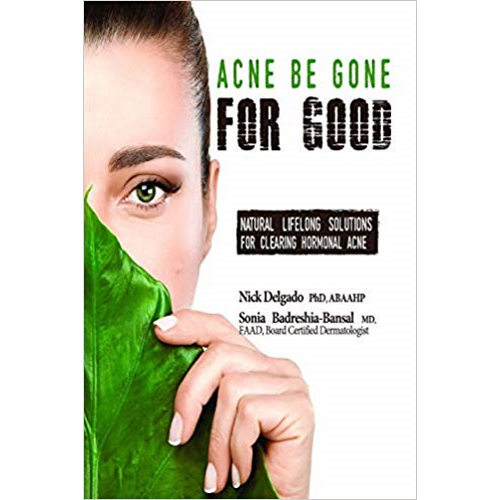 Acne Be Gone for Good offers readers a comprehensive and revolutionary approach to healing acne that ACTUALLY WORKS. 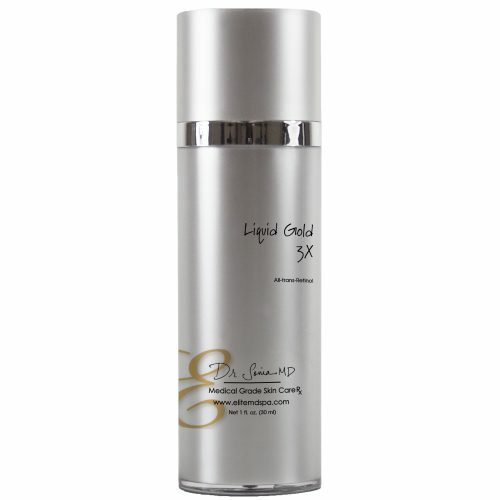 It provides fail-proof guidelines that safely and effectively target even the most stubborn forms of acne. The strategies in this book are based on the discoveries of world-renowned lifestyle medicine coach Nick Delgado, PhD, and leading expert in dermatology, Sonia Badreshia-Bansal, MD. Dr Delgado has over 40 years of experience researching acne and has helped tens of thousands of clients worldwide, successfully heal their acne from the inside out. 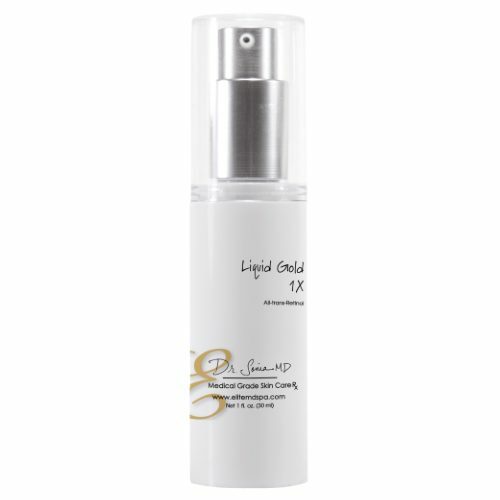 Dr Sonia Badreshia-Bansal is a board-certified dermatologist and clinical researcher who has treated prominent celebrities, supermodels, and top executives from Hollywood to Silicon Valley. Acne is a multifaceted disorder with several possible causes and there is no one-size fits all solution. Acne Be Gone for Good is universally effective because it takes an individualized, 360-approach to healing acne. It helps the reader discover the root cause of their acne and provides a practical, clinically-proven, step-by-step guide for achieving radiant, healthy skin. In This Book, You Will Learn: – The root cause of your acne – How to identify and reverse hormone imbalances that fuel acne – How stress and other negative emotions worsen acne and what you can do about it – Surprising foods that trigger acne – The link between livestock, animal products, food allergies and acne – The ideal diet for radiant, flawless skin – Hidden environmental triggers of acne – How your gut health, liver, and adrenal glands effect the appearance of your skin – Why the birth control pill should NEVER be used for the treatment of acne and safe, all-natural alternatives – The ideal exercise regime for acne sufferers – Nutraceutical supplements that effectively reverse even the most stubborn and severe forms of acne – The best sunscreen for acne sufferers – Proven dermatological techniques for accelerating the acne-healing process – Natural topical ingredients for clearing acne, and reversing wrinkles and age spots Plus so much more! 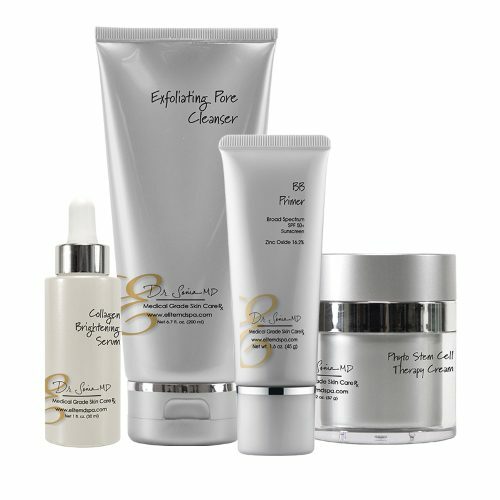 Acne Be Gone for Good will provide you with all the necessary tools to gain and maintain enviably flawless and radiant skin. When you implement these innovative lifestyle medicine strategies, you will also be rewarded with dramatically increased energy, slowed skin aging, a slimmer waistline, and enhanced health and vitality!